Ardent Line Butter Conditioner is the next generat..
A-grade, high class fluorocarbon, extremely supple.. When designing the Nihonto Octa braid we wanted to.. 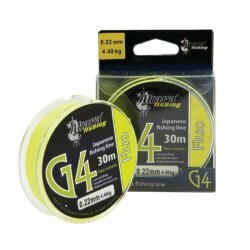 Perfect line designed for competition fishing. Bas..
Exceptionally soft, fishing monofilament of extrao..
Silky soft and durable monofilament with built in ..
Soft and strong monofilament recommended for fishi..
Tsubame is a range of specialist, new generation, ..
New generation, professional fishing line made in ..